If you could flip a switch today that would double your enrollment tomorrow, would you do it? Would doubling the enrollment of your current teaching program or school be a good thing? Most instructors indicate that they would like to have more students on the floor, but they do not. Why is that? Could you even effectively manage twice as many students tomorrow? What if 169 new students and 125 parents showed up at your school on the same day because of a new student campaign you ran? Some school owners literally flip a switch every month and generate a new group of students every single month of the year. These successful school owners set a goal, make a plan to achieve their goal, systematize their practices for consistent daily execution and then relentlessly pursue the result they have targeted and they do not do it all alone. The most successful school owners employ parents, students, PVT committees, assistants, staff, technology, service vendors and automation to assure that steps toward their goals are taken everyday and each month they evaluate their progress and adjust their actions as needed to move closer to their goals. Providing and maintaining a body of students with a suitable facility for training is a challenging entrepreneurial undertaking whether the enrollment is a small teaching program or a full time studio. 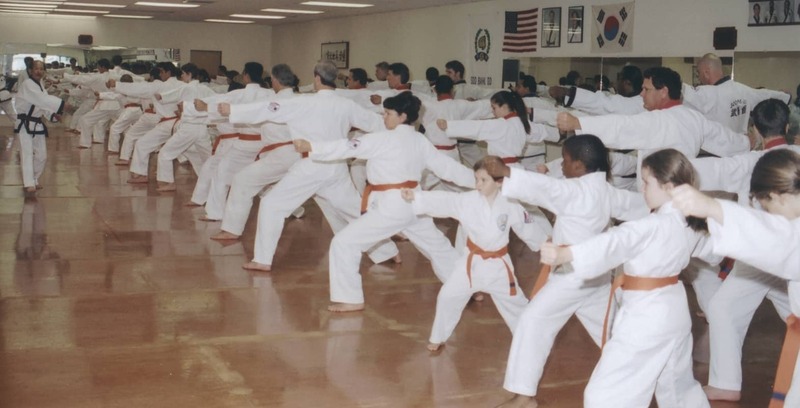 Soo Bahk Do® Biz serves as an information hub to connect you with successful peers, successful practices of non Moo Duk Kwan® schools, business training opportunities provided by the Board of Directors Technical Advisory Committee and more. Self motivated school owners have increased opportunities for success by seeking out insights into the things that peers and competitors are doing and learning about the tools and tactics they are employing in pursuit of the success of their schools. Some of the information presented on this site may not be applicable or suitable for a Moo Duk Kwan® certified schools to use, but it is prudent to be aware of, and to understand, what your competitors are doing to learn if anything they are doing is suitable for you to do and how their activity may be impacting your school in your local area. If you know the enemy (factors negatively impacting your teaching endeavor) and know yourself you need not fear the results of a hundred battles. Throughout the site you will encounter educational business information from Moo Duk Kwan® peers as well as entrepreneurial business information reviewed and approved by the Federation and sales pitches for many different commercial product and service offerings for martial art schools. MENTIONS OF THESE PRODUCTS AND SERVICES ARE NOT ENDORSEMENTS. Rather the information is presented for your awareness about the types of services other school owners seek out and are willing to invest in to help them grow their school. We hope that you find some inspiration, education and motivation through the information shared on this site that will help you grow your school to the level you desire. A number of pages on the site feature submission forms where you can submit a link to a resource, an idea, recommendation or a best practice of your own so that it can be shared with your fellow Moo Duk Kwan® school owners. Here is what a guy has to say who flipped the switch. Here is another school that flipped the switch and the results they have achieved. Big props also to Michael Parrella, Nick Dougherty Ryan Jonathan Healy,David Tendrich Adan De La Cruz Kelly Murray and everyone at TEAM PARELLA for providing the secret tips and tools to help us reach this goal. That’s the broad stroke overview- The devil- as they say- is in the details……. Got questions? Hit me up with a PM. I’m always happy to help you reach your goals! With the right coaching from Team Parrella we can all be successful in this industry. Listen, Learn and implement… then …. Go CRUSH IT.